Welcome back to the final part of my day spent with Chic Weddings in Italy. 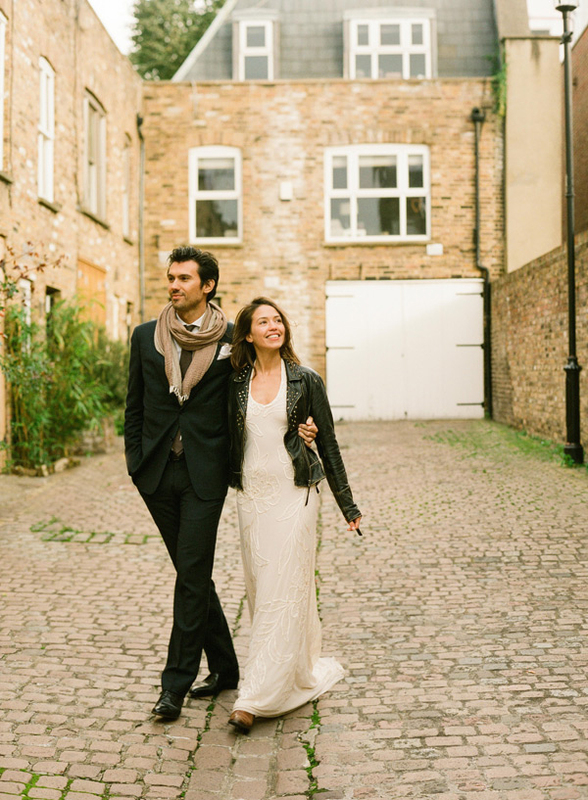 For this part of our shoot we decided to walk around Portobello Road until we found the most perfect nook to photograph Oliva and Stefano. This next dress was a bit more fitted and we decided to dress it up with a chic leather jacket in order to give the ‘look’ a more relaxed, urban feel. Portobello Road in West London is one of the most popular locations in the city so it was so much fun getting the chance to photograph there. We opted to go for more of a playful feel to this part of the shoot which included gelato as a ‘prop’ and we had to dodge some rain drops which was pretty typical throughout our entire day together. Lastly, the beautiful bouquets were from a local flower market and included natural Erica, pink rose Aqua, Protea and White Bristle Bush. This part of the shoot was a lovely way to end a long, but incredibly fun day. Oh.. I LOVE the leather jacket on the bride. Those are amazing portraits. My favorite is the one where he is spinning her around and her joy. Beautiful work. Gosh these are just so beautiful. The location, the people. Holy, holy, moly. Just gorgeous. Lindsay you kill me. These are amazing. I hope one day to be photographed by you! OH Lindsay, those black and whites! Especially the one of him holding her. To. Die. For. WOW!!! Jaw-dropping couple!!! He looks like a movie start and she does look like a model! wonderfully capture it!!! The one in black and white where he is holding her is so fun!! This couple stepped right off of a magazine page…gorgeous! Lovely images! I love the idea of that elegant dress paired with the biker jacket. So cool! Simply stunning! 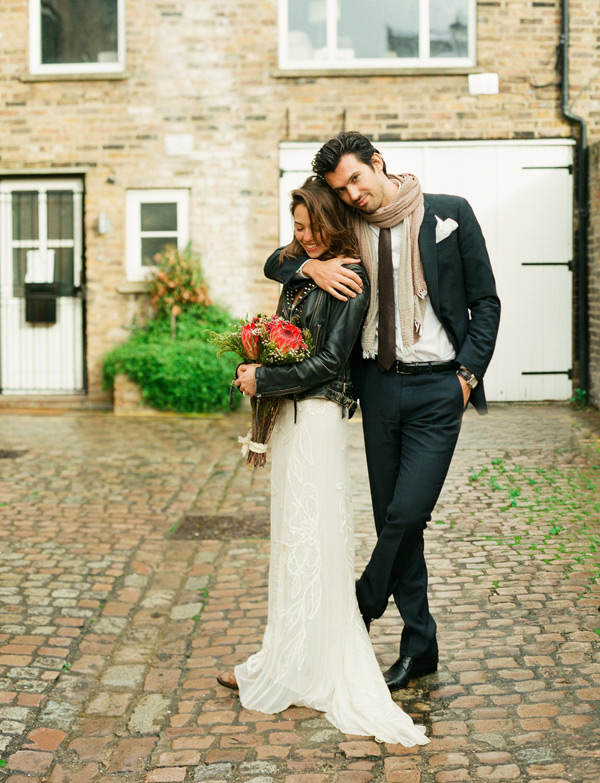 I love the beautiful dress of the bride and the biker jacket combination. So unique and chic! Swoon. These two are beautiful and your photos are perfect! Ummmmm I love these Lindsay!! omg, just wow, stunning! i sooo look forward to your posts. your pictures are just perfection!! lovely as always! love their style! These are so fabulous! Love. AWESOME session!! I just love their style. All of these are exquisite! Their style! This is the most adorable set of wedding photos I’ve seen in awhile. Beautiful.